Internet Explorer crashes, how do I fix it? - Ask Leo! IExplore.exe, aka Internet Explorer or 'IE', can crash, but it's not always its fault. We'll look at some of the things that can cause IExplore.exe to crash, and steps you can take. I keep getting the message “IExplorer.exe has generated an error” when I browse the web, and Internet Explorer crashes and shuts down. Why does this happen, and what do I do to fix it? IExplore.exe which is Internet Explorer, or more commonly “IE”, is perhaps one of the most used pieces of software ever written next to the Windows operating system itself. Let’s look at some of the clues to help identify the problem as well as some steps that may help resolve the issues we find. Let me start by explaining what I mean when I said that not all crashes that look like IE are actually caused by IE. The most common reason that this happens is the presence- and malfunctioning- of browser add-ons. 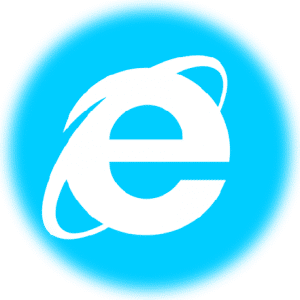 Like other browsers, IE has what’s called an extensibility model, meaning that it is possible to write software that, when installed, becomes a virtual part of IE. A good example that I use myself might be LastPass. It adds an additional toolbar to IE’s standard set and integrates tightly with IE to provide its password capture and filling features. If an add-on causes a crash, it will be reported as having happened in Internet Explorer. It’s also possible that your copy of IE is operating with add-ons you’re not aware of. Many fall into the category of malware – software that you didn’t even know you had – perhaps something that was installed as a side effect of installing another program. Of course it is possible that IE has itself caused the problem that’s being reported as being within IE. It could be a bug or it could be some other problem, but add-ons are the most common culprit. If this makes the problem go away, then carefully re-enable the add-ons one by one to see which one causes the crash to happen. Scan for malware. This is probably the second most common cause of unexpected crashes in IE that just start happening one day. Using your anti-malware tool, perform a full scan of your disks. Consider also running an additional scan using the free version of MalwareBytes Anti-Malware. Run the system file checker. SFC will detect and repair system files that have gone missing or have somehow become corrupt, including those that comprise IE. Reinstall Internet Explorer. You can also visit Microsoft’s Internet Explorer site to make sure you’re running the latest and greatest version. Which brings up yet another good idea: visit Windows Update. Make sure you have the latest Windows components, IE components, drivers, and other updates for your system. When they’re not about critical security updates, the majority of the fixes on Windows Update are often about fixing crashes. And finally, if the problem happens only on certain websites, it’s possible that the software being exercised by that website has a problem. It might be worth checking with other users of that same site to see if they have a similar problem. Debugging crashes in IE can be a tricky proposition. The list above is a start, either towards resolving the problems you’re experiencing or towards narrowing down the possible causes by eliminating the common ones. What do I do when Windows Explorer crashes? - Windows Explorer is the workhorse behind the Windows user interface. In many ways it *is* Windows. I'll cover what to look for when it crashes. How Do I Get My Web Browser’s Menu and Toolbar Back? - The menu bar and toolbars in web browsers are very easy to hide, often by accident. I'll show you a couple of ways to get them back. I cannot get the popup style links. When I click the icon to go there, an XP window pops up and the flag keeps flying, but the window never opens. That, more often than not, is a function of the site you’re trying to see in those links. Do you have a pop-up blocker installed? Have you tried any of the steps listed in the article? System File Checker would be my first approach. Recently, when I would double click on an URL, instead of getting to the internet as usual, I get a dialog box which reads “Windows cannot fine iexplore.exe. I can go around this by pasting the URL in the Address Block. 2) a reinstall or repair of IE as outlined in the article above. Can you please help me with following error. 1) The instruction at “0x003a2ce8” referenced memory at “0x00b28e18”. The memory chould not be “read”. 1) What were you doing at the time? 2) Did you follow the suggestions in the article? I am running Windows XP with the latest Windows Update of SP2. Mind you – I installed the SP2 update AFTER this problem starting occuring. This mainly happens at Ebay, Hotmail and those kinds of sites which seem to use CSS (not sure if this is relevent). Anyhow, it seems to get worse over time. For example it happened at first when I tried to sell on Ebay, and would crash when I’d click on the SELL button. Then it got worse and would crash when I clicked on any link on “MY EBAY” page. That sort of thing. I ran the SFC. I turned off System Restore, gone into Safe Mode, run my virus scanner, Ad-Aware AND Spybot S&D. This seemed to fix the problem for about a day but then IE started crashing again and not always on the same pages as before. It still crashes Ebay (which is my main concern) but now it sometimes happens if I hit the BACK key. I went back and redid the process above (except for the SFC), but this time it’s not any better.I just can’t figure it out, it’s so inconsistent! I have searched GOOGLE for hours looking for ideas on what could be causing this. I have read about some ad-bot called CWS that seems to cause a similar problem but upon looking through my system I don’t seem to have any of the relevent files to suggest infection. If anyone at all could give me some help with this matter I would GREATLY appreciate it! I like to think of myself as a pretty computer savvy gal, but short of completely reinstalling XP I really don’t know what to do about this. I think maybe it’s a software conflict but can’t be sure what the problem is. I would follow the steps outlined in the article, PLUS I’d reinstall Adobe Acrobat. Ya.. everytime i turn my pc on. It loads correctly. Then I’ll try too open up my computer or another other thing on my pc and I get a message saying: Explorer has caused and error in Helper100.dll Explorer will no close. If you continue too experience proplems try restarting your computer..
Well I tryed restarting my pc.. but it keeps coming up. I can restore too a previous setting cause the message will pop up. I tryed searching the web for dll fix programs but none will work. And I really can’t find much info about my problem anywheres. Do you have any ideas what is causing my problem and how i can fix it. i suffer from the same problem. The instruction at “0x7c9105f8” referenced memory at “0x01440010”. The memory could not be “read”. Click on OK to terminate the program. Have you tried the steps outlined in the article? Including re-installing IE? “G”: have you reinstalled adobe acrobat reader? leo i have problem about internet explorer.when i typed an address,we r getting address + another one by name Iexplore in endtask.we will get hang when more windows got opened.wat to do leo? Sounds like spyware. I’d get a good spyware scanner and scan right away. The instruction at “0x00e4a584” referenced memory at “0x00e4a584”. The memory could not be “read”. Experiencing same problem while trying to deploy new systems. Have narrowed most IEHelper errors to a conflict with Acrobat Reader and Google Toolbar (happens with new gTB Beta 3 also). Sorry if this post is redundant or unhelpful. I am currently trying to research this and have found many users having the same problem and no-one realizes it’s the Google Toolbar (or a post Google Toolbar install issue). I’m currently having a problem lauching “internet explorer” throughthe icons on the desktop or through the program menu. My PC works fine with other application but I always get an error message on my screen “iexplore.exe has generated error and windows. You need to restart this program”. I try restarting by clicking the explorer button but same message comes all over again. I need help as I guess my system has been affected by spyware and some of the “registry files” affected also. Pls tell me how to troubleshoot this error cause am not happy for not using the internet again as am being restricted only to other programs. I’ll be waiting for an immediate response. Kingsley: The best advice I have is in the article you just commented on. Did all that not help? Then application errors come up when I try to go on to the internet. Please help. “Error caused by Trojan-spy.HTML” makes me suspect a virus. Run an up-to-date virus and spyware scan and see if that helps. I have pop-ups constantly. I have my pop-up blocker on through AOL, but they still pop-up like every 5 seconds. What can I do to keep this from happening. Also, I was wondering why my computer is running SO slow. I have dial up as my connection and know it takes longer than DSL, but its a fairly new computer and my old one ran faster with dial up than this one. Also I have less stuff installed on this one. If you could help me with these issues I would greatly appreciate it. Thank You. Go to Intenet Explorer>Tools>Internet Options>Programs>Manage addons. repeat till all the plugins you want to use are enabled. i had iexplore.exe errors sometimes too when i’d close internet explorer. i think the problem may be an older version of the google toolbar. uninstall the toolbar and then download the newest version from google. To get rid of this error, you need to go into IE Add-ons Manager and disable the Adobe add-on. To get there, do Tools, Internet Options, Programs, Manage Add-ons. Wait for the list to build, select “AcroIEHlprObj Class” and disable it. If this does not work, and you have other PDF add-ons installed, re-enable the above and disable the others one at a time until the problem goes away. There appears to be a conflict with a recent (6/05) Microsoft Patch and Adobe like add-ons. Close all instances of Internet Explorer, click Start, point to Settings, and then click Control Panel. 4. Under Browsing, click to clear the Enable third-party browser extensions (requires restart) check box. If you receive this error message only when you visit a particular site, it’s possible that data in your browser cache is corrupt, so you should delete your temporary Internet files and try again. To delete these files in IE6, open the Tools menu, click Internet Options, and in the Temporary Internet Files area on the General tab, click the Delete Files button. When the Delete Files dialog box displays, select the Delete All Offline Content checkbox and click OK. Next, go back to the General tab, click the Clear History button, and then click Yes. Finally, under Temporary Internet Files on the General tab, click Settings, click View Objects, and delete all of the listed Objects. Click OK to exit the Settings dialog box, then click OK to exit the Internet Options dialog box. Note that this process will delete cookies saved on your computer, so you’ll need to log on to any sites that previously granted you an automatic logon when you visited them. i have mistakenly deleted iexplore.exe. There are so many programs that cause this problem it’s unbelievable. Many times, it’s caused by the way LSP (Layered Service Protocol) communicates with networking devices. Are you by any chance running Netlimiter or XFire? If it’s that, there is a free program called LSPFix that will fix it. It can be found here. I would strongly recommend having a restore point available before running it though. i had this problem on a new laptop. it was after installing solid pdf converter (an older version i might paint out), which incorporates or imbeds itself into IE. so this BHO was causing the error whenever IE was closed. (how annoying!).. after I deleted an entry related to soldPDFcoverter using hijackthis, i noticed that the error would delay after cloing IE, but persist. so i read the remarks (article) by Leo and then searched a little more and found someone had that same problem as the good folks on this forum. i just uninstalled the program (solidPDFconverter) and voila!. well, it worked for me, hope it does the same for you. i would create a resore point and start unstalling the smaller programs on by one, testing in between each one of course. Scott: can you uninstall Yahoo’s spyware using control panel add/remove programs? Otherwise, in IE, you may be able to go to Tools->Manage Add-ons and locate and disable the BHO. Another “home run,” Leo. I had an error everytime I closed IE and sometimes while surfing the net. Went into IE>Tools>Manage Addons and started disabling things until I isolated the problem, AOL toolbar. Now everything works like a charm and no more annoying IE must close errors. Thanks so much, Leo! I was getting the application error also, ( memory could not be read ) it was actually a yahoo problem and not IE at all. For those of you that are getting this error, and are using yahoo mail, with the photo mail option, uninstall the yahoo photo quick select tool, in add/remove programs. This photo tool, is a beta tool, and it appears to still have some bugs in it, that yahoo has not addressed yet. IMAGINE THAT, YAHOO NOT FIXING A PROBLEM THAT THEY CREATED ! I forgot to mention, in the above comment, that i was only getting this error, when sending email from yahoo. Try to see what program you are using, when receiving this error, and it will likely be a problem within that particular program, and not explorer, even though the error says it is a iexplore.exe error. IEXPLORE.EXE is generationg a message that says ‘Windows cannot access the specified device, path, or file. You may not have the appropiate permission to access the item’. Should I remove IEXPLORE.EXE? It comes up constantly, please tell me what to do. Thank you so much for you help, in advance. That sounds more like spyware. Get and run an up-to-date spyware scann (and anti-virus, while you’re at it). When i was on msn, I had a link which asked if the web address was me. I clicked on it and it sent me a virus. Now I can’t access my hotmail account, enable window’s firewall, updates or access any virus websites, or updates. As well, I can’t log into msn either, or the internet-baised msn. I looked for the root file but found nothing. Hopefully you can help. Step one is to run an up-to-date anti-virus scan. Have you done so? I had the same errors but would get them with McAfee Virus Scan, Filemaker Pro and some other programs. I fixed the problem by installing the latest update to Microsofts .dot net version 1 and updating the drivers to the video card. I can’t tell which update fixed the error, doesn’t matter to me. I’d probably update the .net first. WinXP, Matrox APVe video cards. The instruction at “0x01dc1e10” referenced memory at “0x0174ad58”. The memory could not be “read.” Click on OK to terminate the program. I appears constantly. If you’ve got the Acrobat IE helper IE Explorer.exe- application error every time you close the browser, the solution is to download one or two PDF documents. The annoying error message will go away. For me the answer was to un-install TeaTimer/Spybot. The error stopped. I have not tried to re-install it yet, maybe I won’t even try. I do have Microsoft.net installed for some reason, perhaps there is a conflict between the two, could explain why Google Toolbar also produces this error. There may be other brower add-ons that will conflict. I have read the info and my problem seems more involved. Maybe not even an IE problem. I am getting the same Error Message as others. I have for about a week, but I do not click on IE to get it. I could be searching for a file in one of my folders and and the message will pop up, I click ok and the message goes away w/o shutting down…as I said my message is very simular to what others have reported for example.. Explorer .exe error- The instruction at “0x77f83147” referenced memory at “0x00000014”.The memory could not be “Read”. Click on to OK to terminate the program. some times it will say “written” and the numbers are different. So fast forward to this week… I have run Spy Bot once and Ad aware twice in the last 2 days. I ran Sophos this AM.. and this afternoon, did a soft boot due to more frequent error messages, with no luck. So I did a hard boot.. now when I click on the ok and the window pops up again and again and will not go away. I now can not get past the error window.. my desktop will not load and thus I can not get into my computer..any ideas? Yippppeess! Or Google Chrome! I give up on IE years ago. First of all, disable and re-enable the connection. When you change the IP address from automatic to a fixed IP address while the adapter is not connected, you always get a 0.0.0.0 address at first when the adapter reconnects. If this doesn’t solve the problem, read on. You cannot obtain an IP address from the DHCP server. The IP address is 0.0.0.0. The DHCP service is not running, although it is set to Start Automatic. When you try to start the DHCP service, you get the error message: Could not start the DHCP Client Service on Local Computer. Error 1075: The dependency service does not exist or has been marked for deletion. This problem can occur after uninstalling Norton AntiVirus, which sets the DHCP service as depending on itself. It can also occur when the computer name of the client computer is too long. Make sure that all computer names in your network are no longer than 15 characters. First set a restore point, so you can undo your changes, should anything go wrong (Programs, Accessories, System programs, System restore). Delete any lines containing either SYMTDI or NISDRV. Similar problem with “memory can not be read” happened to me twice, both time on different models of Sony Vaio following the troubled installation of MS WORKS bundle. 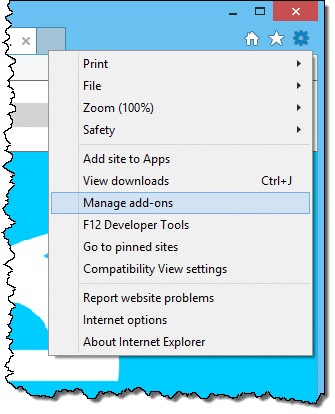 Easy solutions – disable third party extensions or switch to Firefox (partial solution – still require disabled third party … in the Internet options (IE window is used sometime by sites like Intuit). Unfortunately what came with IE problem is the following: even if with cookies allowed some of the application (vendors) can’t open the interface window anylonger (for whatever reason they believe that cookies are disabled). ANy help, comment will be appreciated. Here is what I just found. I had this problem before on my old HP PC. When I got it replaced, I decided to reload the HP ProtectTools Security Manager so I could use the fingerprint detector on my NC6400 HP PC. After loading my credentials and started IE that’s when I started to get the error when I close IE. Bingo!! I removed the application and things got back to normal. So, for me, it was this fingerprint sensor application from HP. If you have this, try to remove and see. I fixed it, I downloaded mozilla firefox on my computer, and put the app. in my shared folder. went to the other one and pulled it off of it. installed firefox, then went in and it worked. so I searched for another app. for ie, foundone and downloaded it & installed it. rebooted, tried ie again, it worked, problem solved. hope this can help someone. Regularly facing problem with all the users in my company throwing an error “iexplore.exe has generated some errors and windows will be closed automatically” …. issue is solved by re-installing the IE ( 6.0 – SP1 ), It was a repeated problem, please provide me a solution as it is effecting by work as well as the customer production time. The IEXPLORER.exe error I keep repeatedly receiving is due to the Flash Player. I did all of the things in the article. I googled the error and it seems there are quite a lot of people with this problem now that the Flash 9 is out. I think it is an Adobe problem and not IE. Unable to locate any fix for this on Adobe’s site. I downloaded a stand alone from http://fileforum.betanews.com/detail/964714156/ after removing flash using this link http://download.macromedia.com/pub/flashplayer/current/uninstall_flash_player.exe and I wasn’t receiving the IE error anymore but new problem, websites can’t detect flash plug-in so I clicked on link to Adobe and loaded flash from there again now I get the IEXPLORE.exe error again. Actually i use a back office software TECHEXCEL. it is an ie based java software. now some has entered into my back office and played some game i.e. he has tried to do some sort of RND and now i want to know from which ip address he had logged in. i have checked the timings and i am geting the result that the error has occured at 6:48 pm. this data i have received from the server but can you help me to know more on it. i mean he had logged in my server and tried to do some import. i want to know what actually he has done. i hope the windows keeps a track record for the same somewhere within. please tell me where shall i get this details. incase you need to talk kindly call me on [phone number removed] or you can send me your no. and ill call you back. myself Nainesh H Jatania. Director of the firm AMI STOCK AND SHARE BROKERS PVT. LTD. Many errors with internet explorer are caused by bad registry settings (it’s just another application like any other on your computer). Try using a free windows registry cleaner such as CCleaner. The instruction at “0x04965678” referenced memory at “0x057005a0”. The memory could not be “read”. Any suggestions on what this is and/or how I can get it to go away? Yep. I wrote an entire article about that, above, which you just commented on. Please read that article. Click Start/Programs/Accessories/System Tools/Internet Explorer (No Add-Ons). If IE starts and works OK, that means an add-on is causing the problem. Now that you can use IE, click Tools/Internet Options/Programs/Manage add-ons. Here you can disable add-ons individually to find out which one is causing the problem. If you are running Google Tool Bar, I would start with disabling everything that says Google on it. There will be about four entries. Click on each one and click the “Disable” radio button. Click OK when finished. Now start up IE again in the regular way. If the problem is gone, then Google Toolbar was the culprit. Sometimes I have found that I could uninstall it and re-install to fix the problem (my favorites etc. were still there). If IE still does not work, then it’s another add-on. I would disable about half of the add-ons and test again. Keep disabling half of the remaining enabled add-ons until it works. Then the problem is in the batch you just disabled. So you can gradually narrow it down until you find the specific one that is bad. I was getting the above error message after I installed IE 8. After trying many things I uninstalled IE 8 and reinstalled IE 7 and the error message stopped. I switched to using Google Chrome for a few months now. It is quicker and has never crashed. If a web page misbehaves, you can close only that tab and the others keep going. This is one way of getting rid of IExplore errors once and for all. I get that same message repeatedly. Not only am I not using IE at the time, I have never used it on this computer ever. You can also use this utility to try and fix Internet problems, update issues and a few others. You’ll have to get in touch with the folks who create MYOB for assistance.